Team up to help end addiction and recruit others to join you at the Shatterproof Rise Up Against Addiction 5K Walk/Run. Teams have access to a variety of resources, including a team webpage and tools for recruiting and fundraising. If you have any questions or need help managing your team, please contact support@shatterproof.org. On the day of the event, teams can meet up in our team meeting area to make signs and take photos. We encourage teams to create t-shirts so you can proudly wear your team name and/or share why you are participating. Plus, your team members will be much easier to find when they are all wearing the same thing. 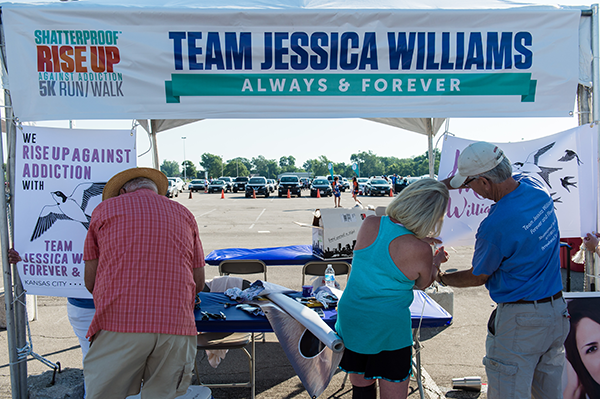 All teams that raise $10,000 or more, through sponsorship and/or fundraising, earn the opportunity to have a tent in the Team Village. 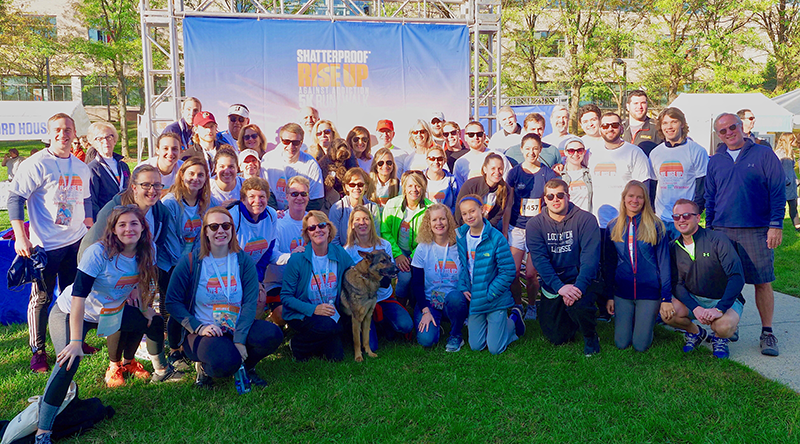 This is a great opportunity to unite your team before and after the Shatterproof Rise Up Against Addiction 5K Walk/Run. Many teams provide breakfast, style their tents with a fun theme, and distribute their team t-shirts from their tents. All donations received through December 31, 2019 will be included in your team’s final fundraising total for the year and make you eligible for the Shatterproof Hall of Fame. The final Top 10 teams for 2019 at each event and on a national level will be announced in January 2020. 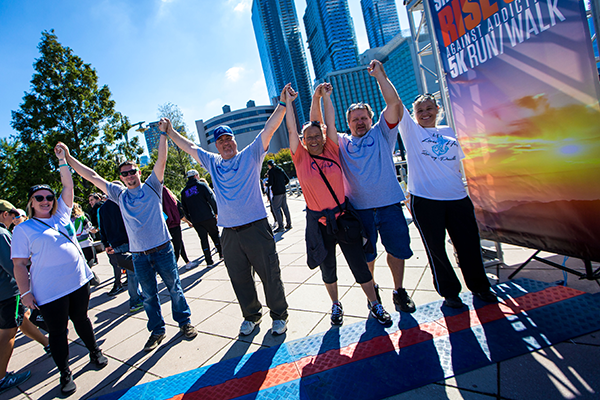 Teams of 4 or more people typically raise more money for the cause, and have more fun. The bigger, the better! What are the benefits of being a team? In addition to the fun that comes with participating together, teams are eligible for a variety of perks at the event including a team meeting area, team signs, and team photos. Every team member’s individual fundraising contributes to the team total.